Over the past decade, digital photography and the incorporation of cameras in mobile phones have helped tremendously to show progress or identify potential problems on building sites. Now, drones can do even more. 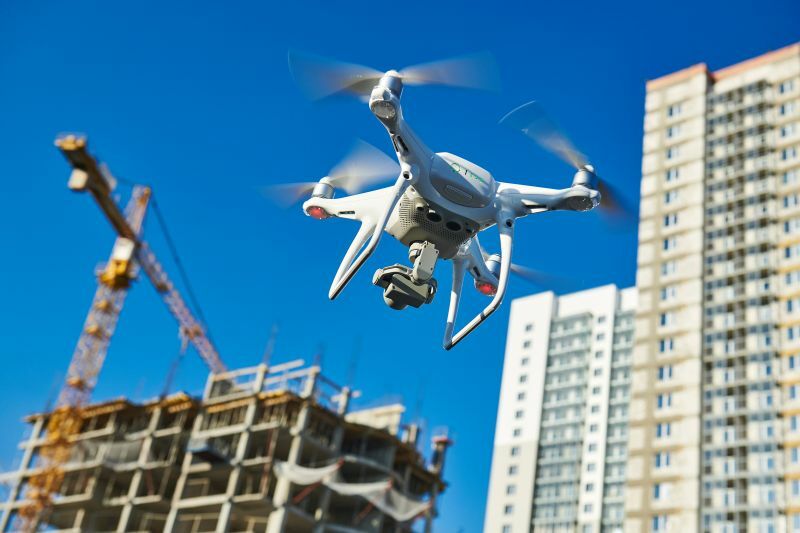 “Hovering over and transmitting photos from building sites, drones could play an important role in resolving disputes in construction contracts,” says Uwe Putlitz, chief executive officer of the Joint Building Contracts Committee (JBCC). “Smart phones have enabled parties involved with a building contract to obtain instant photo or video recordings, incorporating date and time, but handheld or fixed cameras, however strategically positioned, can show only a preselected portion of a project, and their use is also open to manipulation. The development of remotely piloted aircraft systems has totally removed all these limitations,” he explains. Provided it is safe to use them in the location of a project, drones can show “hidden” aspects of the works by flying over relatively inaccessible areas on site. They can even inspect adjacent properties to ensure that no building materials have perhaps accidentally been dropped on it from cranes. “Dispute resolution almost inevitably involves prolonged post-incident meetings with unproven claims delaying finalisation. Now, parties involved could table photographic evidence from that ‘eye in the sky’. Drones open up totally new dimensions to validate claims. “In addition to a drone’s ability to measure building progress or spot defective work, the autopilot systems could help health and safety officers to timeously identify unsafe work procedures – an urgently needed tool to improve safety on site, which already has reached alarming low levels in South Africa,” Putlitz adds. Main image: Drones taking aerial photos of building sites could in future provide proof to speed up the resolution of many disputes, the JBCC predicts.